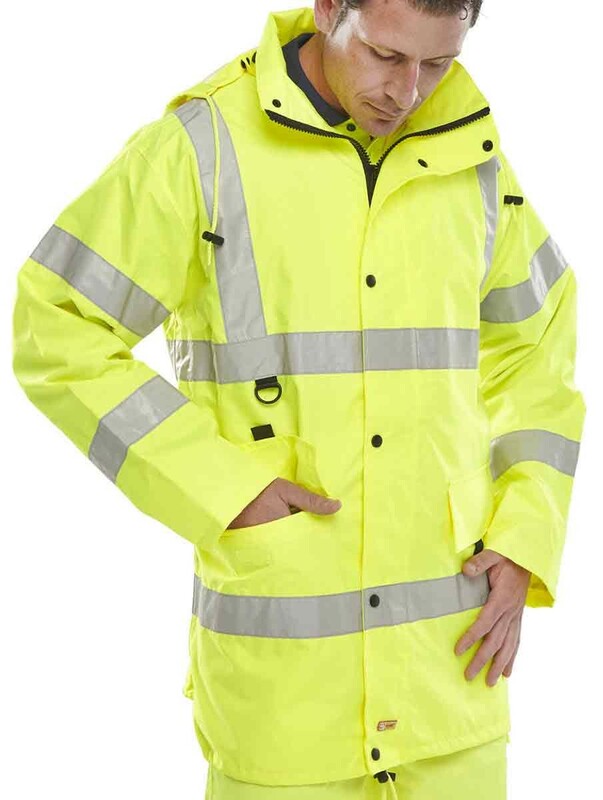 A highly breathable hi viz jacket to promote safety. The B-Seen Jubilee Breathable Hi Viz Jacket meets EN471 and is class 3 breathable (highest level). Orange meets GO/RT 3279. Detachable hood with drawcord. Two-way heavy duty zip front with storm flap. Two lower front patch pockets with Velcro fastening flap. ID card 'D' ring. Drawcord at hip. Internal mesh lining with mobile phone pocket. Two roomy 'Poachers' pockets at lower front. Deep Left breast zipped security pocket under front flap. Knitted storm cuffs. Internal wicking strip. Fully taped waterproof seams. 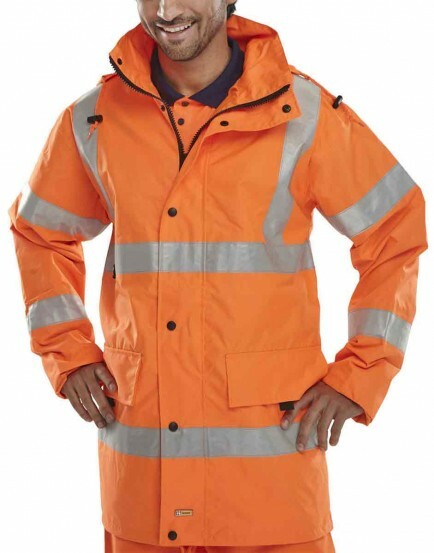 The B-Seen Jubilee jacket is a top spec hi viz jacket.